In 1949, the Territory and the Territory of New Guinea were established in an administrative union by the name of the Territory of Papua and New Guinea. That administrative union was renamed as Papua New Guinea in 1971. Notwithstanding that it was part of an administrative union, the Territory of Papua at all times retained a distinct legal status and identity; it was a Possession of the Crown whereas the Territory of New Guinea was initially a League of Nations mandate territory and subsequently a United Nations trust territory. This important legal and political distinction remained until the advent of the Independent State of Papua New Guinea in 1975. 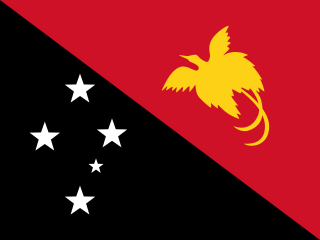 The Territory of Papua and New Guinea was established by an administrative union between the Australian-administered territories of Papua and New Guinea in 1949. In 1972, the name of the Territory changed to "Papua New Guinea" and in 1975 it became the Independent State of Papua New Guinea. Sir Thomas McIlwraith was for many years the dominant figure of colonial politics in Queensland. He was Premier of Queensland from 1879 to 1883, again in 1888, and for a third time in 1893. In common with most politicians of his era, McIlwraith was an influential businessman, who combined his parliamentary career with a prosperous involvement in the pastoral industry. The northern part of modern Papua New Guinea was under German commercial control from 1884 and under direct rule by the German government in 1899, as the larger part of the colony of German New Guinea, then known as Kaiser-Wilhelmsland . The New Guinea campaign opened with the battles for New Britain and New Ireland in the Territory of New Guinea in 1942. Rabaul, the capital of the Territory, was overwhelmed on 22–23 January and was established as a major Japanese base from where the Japanese landed on mainland New Guinea and advanced towards Port Moresby and Australia. Having had their initial effort to capture Port Moresby by a seaborne invasion disrupted by the U.S. Navy and Australian navy in the Battle of the Coral Sea, the Japanese attempted a landward attack from the north via the Kokoda Track. From July 1942, a few Australian reserve battalions, many of them very young and untrained, fought a stubborn rearguard action against the Japanese attack, over the rugged Owen Stanley Ranges. The militia, worn out and severely depleted by casualties, held out with the assistance of Papuan porters and medical assistants, and were relieved in late August by regular troops from the Second Australian Imperial Force, returning from action in the Mediterranean Theatre. In early September 1942 Japanese marines attacked a strategic Royal Australian Air Force base at Milne Bay, near the eastern tip of Papua. 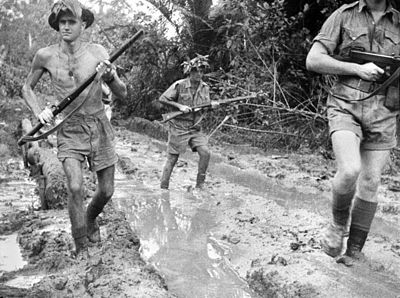 They were beaten back by the Australian Army, and the Battle of Milne Bay is remembered as the first outright defeat of Japanese land forces during World War II. The offensives in Papua and New Guinea of 1943–44 were the single largest series of connected operations ever mounted by the Australian armed forces. The Supreme Commander of operations was the United States General Douglas Macarthur, with Australian General Thomas Blamey taking a direct role in planning, and operations being essentially directed by staff at New Guinea Force headquarters in Port Moresby. Bitter fighting continued in New Guinea between the largely Australian force and the Japanese 18th Army based in New Guinea until the Japanese surrender in 1945. The prehistory of Papua New Guinea can be traced to about 60,000 years ago, when people first migrated towards the Australian continent. The written history began when European navigators first sighted New Guinea in the early part of the 16th century. 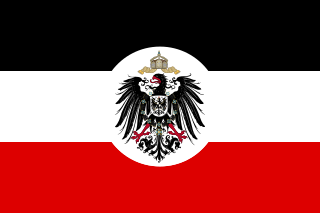 Kaiser-Wilhelmsland formed part of German New Guinea, the South Pacific protectorate of the German Empire. Named in honour of Wilhelm I, who reigned as German Emperor (Kaiser) from 1871 to 1888, it included the northern part of present-day Papua New Guinea. 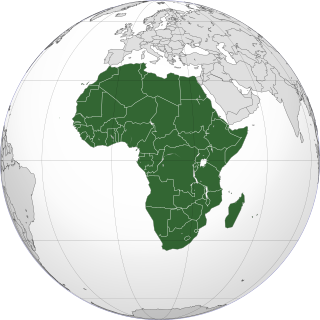 From 1884 until 1920 the territory was a protectorate of the German Empire. Kaiser-Wilhelmsland, the Bismarck Archipelago, the northern Solomon Islands, the Caroline Islands, Palau, Nauru, the Mariana Islands, and the Marshall Islands comprised German New Guinea. 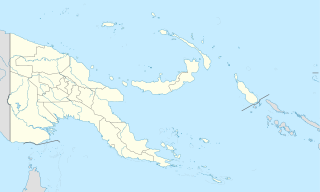 Kokoda is a station town in the Oro Province of Papua New Guinea. It is famous as the northern end of the Kokoda Track, site of the eponymous Kokoda Track campaign of World War II. In that campaign, it had strategic significance because it had the only airfield along the Track. In the decades preceding, it had been a foothills settlement near the gold fields. 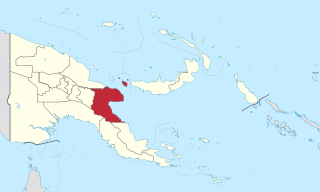 Morobe Province is a province on the northern coast of Papua New Guinea. 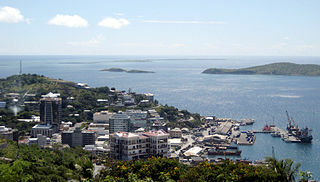 The provincial capital, and largest city, is Lae. The province covers 33,705 km², with a population of 674,810, and since the division of Southern Highlands Province in May 2012 it is the most populous province. It includes the Huon Peninsula, the Markham River, and delta, and coastal territories along the Huon Gulf. The province has nine administrative districts, and 101 languages are spoken, including Kâte and Yabim. English and Tok Pisin are common languages in the urban areas, and in some areas forms of Pidgin German are mixed with the native language. The New Guinea campaign of the Pacific War lasted from January 1942 until the end of the war in August 1945. During the initial phase in early 1942, the Empire of Japan invaded the Australian-administered territories of the New Guinea Mandate and Papua and overran western New Guinea, which was a part of the Netherlands East Indies. During the second phase, lasting from late 1942 until the Japanese surrender, the Allies—consisting primarily of Australian and US forces—cleared the Japanese first from Papua, then the Mandate and finally from the Dutch colony. The New Guinea Volunteer Rifles (NGVR) was an infantry battalion of the Australian Army. 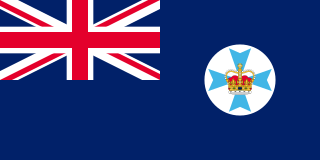 It was initially raised as a unit of the Militia from white Australian and European expatriates in New Guinea upon the outbreak of the Second World War in 1939, before being activated for full-time service following the Japanese landings in early 1942. NGVR personnel then helped rescue survivors of Lark Force from Rabaul in February and March 1942. Between March and May, the NGVR monitored the Japanese bases which had been established in the Huon Gulf region, being the only Allied force in the area until the arrival of Kanga Force at Wau in May. The battalion subsequently established observation posts overlooking the main approaches and reported on Japanese movements. New Guinea Force was a military command unit for Australian and native troops from the Territories of Papua and New Guinea serving in the New Guinea campaign during World War II. Formed in April 1942, when the Australian First Army was formed from the Australian I Corps after it returned from the Middle East, it was responsible for planning and directing all operations within the territory up until October 1944. General Headquarters Southwest Pacific Area Operational Instruction No.7 of 25 May 1942, issued by Commander-Allied-Forces, General Douglas MacArthur, placed all Australian and US Army, Air Force and Navy Forces in the Port Moresby Area under the control of New Guinea Force. Over the course of its existence, New Guinea Force was commanded by some of the Australian Army's most notable commanders, including Sydney Rowell, Sir Edmund Herring and Sir Leslie Morshead. The postage stamps and postal history of Papua New Guinea were linked to the Australian administration on the eastern part of the island of New Guinea until its independence in 1975. The Invasion of Buna–Gona, called Operation RI by the Japanese, was a military operation by Imperial Japanese forces to occupy the Buna–Gona area in the Territory of Papua during the Pacific campaign of the Second World War. The initial landings and advance on Kokoda occurred between 21 and 27 July 1942. 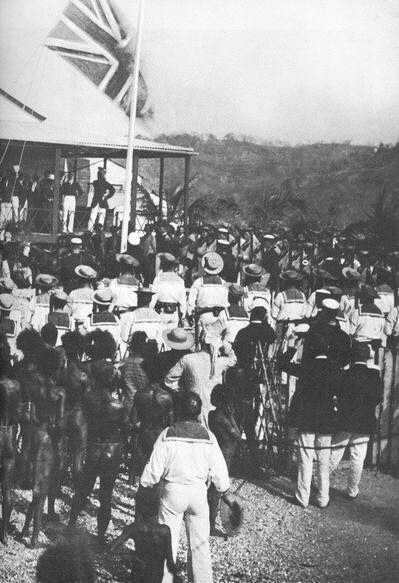 The Japanese invaded and occupied the location in preparation for an overland attack on Port Moresby along the Kokoda Track. The landing marked the start of the Kokoda Track campaign. The landings were not directly opposed by land forces but were engaged by elements of Maroubra Force as they advanced on Kokoda. This initially included B Company of the 39th Battalion, patrols of the Papuan Infantry Battalion (PIB) operating in the area and a small number of the Australian New Guinea Administrative Unit (ANGAU) that became attached to the force. The Australians were initially repulsed near Oivi but subsequently regrouped to defend Kokoda in an initial battle there from 28–29 July. As the township of Lae, in Morobe Province, Papua New Guinea is a relatively new entity, the history of the Lae environs is much older. The Battle of Mission Ridge – Brigade Hill took place between 6 and 9 September 1942, during the Kokoda Track campaign of the Second World War. Involving forces from Australia, the United States, and Japan, the fighting centred on a high feature south of the village of Efogi on the Kokoda Track. The Battle of Kokoda consisted of two engagements fought in late July – early August 1942. Forming part of the Kokoda Track campaign of the Second World War, the battle involved military forces from Australia, supported by the United States, fighting against Japanese troops from Major General Tomitaro Horii's South Seas Detachment who had landed around Buna and Gona in Papua mid-July 1942, with the intent of capturing Port Moresby to the south via the overland route.